As a consumer sitting in the doctor’s office, understanding medical information has never been more challenging or complex, and providing person-centered care begins with adequately communicating with the patient. Consumers need to understand their health condition, their prescription medication, alternative treatment options and their overall care plan. The health field often lacks the ability to provide culturally-sensitive, person-centered care even when both the consumer and the provider speak the same language. For consumers whose first language isn’t English, the communication and cultural gap is often even wider. Felicitas Bernal Perez, for example, has lived in Staten Island for 12 years and she loves it there. She sees herself as an independent person and prefers doing things on her own, though as a monolingual Spanish speaker, the language barrier often gets in the way. Felicitas recently went to the hospital with severe back pain. When she asked the doctor for her MRI results and for recommendations for how to handle her pain, the doctor said her shift was over and disregarded her questions. Felicitas asked, in Spanish, for an interpreter, but the doctor replied that it wasn’t her job to find an interpreter and promptly left. Felicitas was left in pain, with no answers. Felicitas said she “hated going to a place she thought was there to help people and instead she felt like a burden and that no one would help her.” Felicitas suggested that there be more translators in hospitals to help people like her who are unable to speak English. Consumers whose first language isn’t English still routinely do not obtain culturally-appropriate care. Felicitas was able to access no translation services at all. Other consumers report providers turning to minor children to translate medical information. These strategies are both inappropriate and ineffective. Insuring that there are Spanish-speaking providers or translators in the heart of New York City should not be this difficult. But the problem extends beyond language and includes culture. 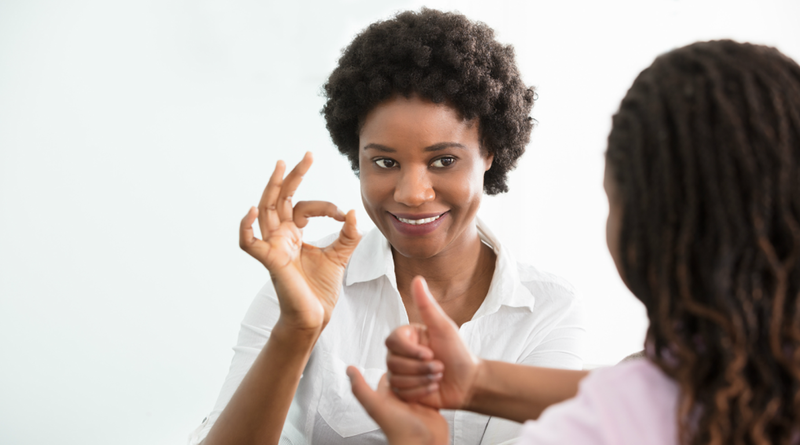 Another linguistic minority that navigates the health care system with significant gaps in quality care is the Deaf population. Well-educated, Deaf consumers struggle to understand what their doctor is communicating to them, not because their health literacy is limited, but because the cultures are different, and providers routinely fail to orient their services to what is best and most comfortable for the patient. Reiterates information over a period of time to ensure it is retained. Pastor Sandi has learned a way to communicate necessary information to her congregants, and the effectiveness of these communication strategies are not limited to the Deaf community. Health care providers must avail themselves of the language services that already exist to provide linguistically appropriate care. But providers can go further by altering their methods of communication to best meet the needs of individuals. Adapting some of the communication strategies used by Pastor Sandi might help providers move toward providing more person-centered, culturally appropriate care.